Please join us as we kick off our 2018 Concert Series. The talents of two incredible young musicians will be on full display, as they present a virtuosic programme of favourites. 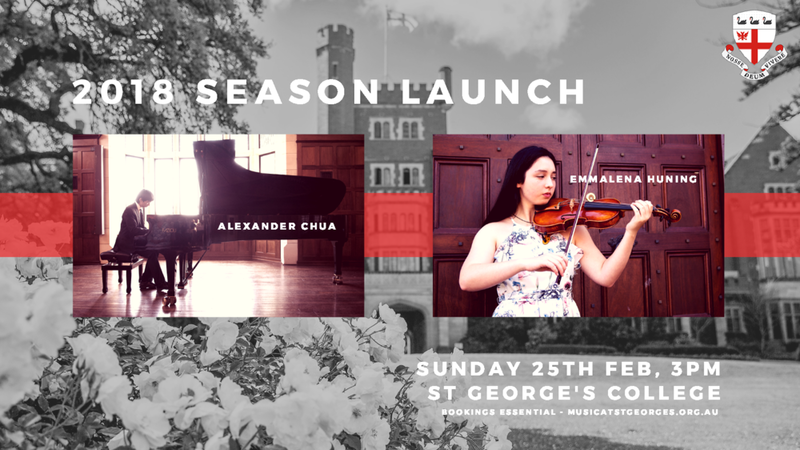 Alexander Chua, winner of the 2017 St George's College Piano Competition, and Emmalena Huning, one of Perth's finest violin soloists, come together in a celebration of up-and-coming talent. Sparkling wine reception to follow!